Niburu | Werkgroep "George Orwell"
Here comes the 26,000 years cycle of Earths complete wobble. 2012. For those who still dont believe in Nibiru. Take a picture of the Sun and you will see Nibiru next to it. This is quite scary when you listen but interesting! Enjoy rate comment and share your thoughts on this remember to keep an open mind! 2 years TO GO, December 21st 2012, the date which is going on our minds as it is reaching nearer and nearer. That we all know that something is going to be happening on December 21st 2012 which might takes us to the end of the world. But, is it really going to be end of the world? If it so, what might be happen on that day? All these questions might be going in the minds of all at one time or the other. Based on the ancient Mayan calendar which seems to be more accurate in terms of astrology was said that in the year of 2012, the Earth will experience disasters ranging from massive earthquakes and tsunamis to nuclear reactor meltdowns. Even there were great mathematicians, who claimed that they were able to point out the exact day and time that the world will end in the future, and that is on August 13th 2012, the final day of the Mayan calendar. 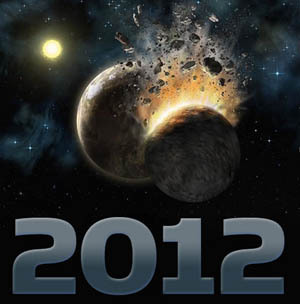 The Mayan Calendar is above all a prophetic calendar that may help us understand the past and foresee the future. It is a calendar of the Ages that describes how the progression of Heavens and Underworlds condition the human consciousness and thus the frames for our thoughts and actions with in a given Age.